Virtual card use is gaining momentum in the B2B market, with their use growing particularly in travel, invoice and health care payments, where use of paper checks remains common. But not all companies favor network automatic opt-in rules tied to acceptance of virtual card products. Through virtual card products, issuers provide to companies specific 16-digit card numbers they may use online or by phone to apply to specific transactions or payees, thus providing an extra layer of security compared with traditional card products. There is no actual plastic card issued. Visa reportedly soon will launch a B2B tool to make it simpler for corporations to pay supplier invoices using virtual payment cards. The offering would complement a cloud-based payment initiative Visa launched last year using the SAP Financial Services Network. Virtual card use for invoicing is especially important for the card brands, as nearly half of all corporate payments are still paid by check, according to Visa, which estimates global commercial consumption expenditures at US$112 trillion. Firms may embed the Visa tool, which is scheduled to launch later this summer, into their general ledger software, reports FierceFinanceIT.com. In doing so, companies would make it simpler to choose Visa’s virtual credit card offerings when companies pick their payment method online. Visa said it expects a new solution in launched recently with SAP to help corporations who want to move toward electronic B2B payments and easily automate and process their invoice payments without the need for significant investment in custom software. Virtual cards also have caught the attention of health care providers, which have mixed feeling about the products when used to settle claims. Last month, a hospital representative told the Department of Health and Human Services’ National Committee on Vital Health Statistics Subcommittee on Standards that some health plans are automatically using virtual credit cards to pay claims, resulting in significant banking charges and administrative work for health care providers. In his testimony, Doug Downey, speaking for Hospital Corporation of America (HCA), said the committee should discourage health plans from imposing a transaction fee for electronic payment or requiring hospitals to “opt out” of virtual card payments. Health plans or their agents switch payments from check to virtual cards with no business discussion between the two parties, effectively automatically enrolling the provider in the program automatic opt-in. Health plans or their agents are also incorrectly leveraging the card-network rules, which apply to consumer-to-business payments, and applying these rules to B2B payments, Downey said. HCA is not opposed to virtual card use because it may be appropriate for some providers, but it is against network rules that automatically opt in providers to accept such payments, Downey said. Virtual cards have been around for some time. 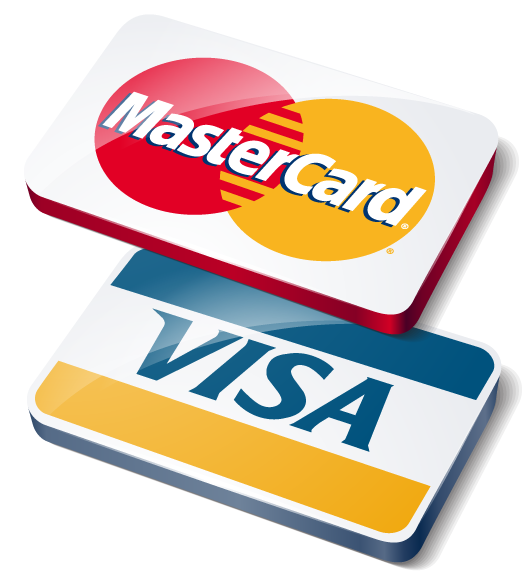 One of the first companies to introduce them was Ireland-based Orbiscom, which MasterCard acquired in 2009. MasterCard also works with other virtual card companies, including Europe’s Conferma, which also does business with Visa Europe issuers, according to Business Travelers News. Though initially marketed primarily as a way for consumers to improve the security of online payments, virtual cards more recently have gained the interest of B2B companies, including firms in the travel industry. Last fall, MasterCard announced MasterCard Travel Controller, which provides companies with information necessary to allocate charges to appropriate cost centers and allows them to expand control over travel spend by setting customer virtual accounts for each transaction. Fleet card specialist Wex is among the major issuers of B2B virtual cards, providing a MasterCard-branded product to its fleet customers. Last year, the company added 700,000 new fleet cards globally, growing its virtual card volume by 20 percent, according to the company’s fourth quarter earnings release. time. It enabled Conferma’s partners to optimize travel payments by selecting the payment method that is most appropriate for each transaction type. Please visit http://www.pymnts.com/ for more payment news! American Express has announced the expansion of OptBlue, its new merchant acquiring program that extends U.S. small merchant acceptance coverage for its cards. Amex reports there are now 10 participating acquirers in OptBlue, five of which are among the top 10 in the United States. New to the program are: First Data, EVO, Merchant e-Solutions and First American Payments Systems. The program was announced at American Express’ Financial Community meeting earlier this year with Vantiv, Global Payments, Heartland Payment Systems, Worldpay, Transfirst and JetPay as the first participants. Participating acquirers will provide a full one-stop servicing solution for American Express Card® acceptance to eligible U.S. small merchants. OptBlue is part of American Express’ ongoing commitment to enhance the U.S. small merchant experience and is an evolution of our acquiring business,” said Ed Jay, Executive Vice President, Merchant Services – Americas, American Express. With OptBlue, participating acquirers can offer U.S. small merchants the benefit of a single statement, one settlement process, and one contact for all the major card brands. Acquirers determine merchant pricing in addition to providing payment processing and servicing. OptBlue will help expand American Express’ U.S. small merchant coverage, providing consumers more payment options at local businesses. American Express continues to receive the same transactional information it does today, allowing OptBlue merchants to benefit from the valuable tools, services and marketing that the Company delivers to small merchants. OptBlue is limited to eligible U.S. small merchants that have a projected American Express charge volume of less than $1 million per year. Source: American Express Expands OptBlue Merchant Acquirer Program. Merchants have doubled the amount of revenue coming from mobile devices since last year, according to a new report on mobile payments and fraud from CardNotPresent.com, Kount and The Fraud Practice. With nearly 2,000 respondents (more than 1,000 of them merchants), the Mobile Payments & Fraud Survey: 2014 Report is the largest ever to focus on fraud in the mobile channel, the companies said. The importance of mobile to revenue growth is clearly illustrated in this year’s study—the second annual version of the report. Overall, merchants said mobile was responsible for 20 percent of their business, a 100 percent increase from last year’s survey. Thirty percent more merchants supported mobile commerce in 2013 than the year before, the study found. At the same time, merchants clearly are more wary of mobile payments. More than 30 percent of merchants polled said mobile is riskier than standard e-commerce (25 percent more than last year). CardNotPresent.com, Kount and The Fraud Practice are offering a sneak peak at what the results mean in a free Webinar today at 2 p.m. ET. Sign up for the Webinar here. A more comprehensive look at the results will comprise a keynote address at the CNP Expo in Orlando, Fla. at the end of May. Find out more about the CNP Expo and register here. A free copy of the report is available on the Kount Website. PayPal and Samsung have announced a collaboration that will make Samsung Galaxy S5 users the first to be able to login and shop at any merchant that accepts PayPal on mobile and in-stores with only their fingerprint. The new biometric feature will mean that Galaxy S5 users will no longer need to remember passwords or login details, PayPal will be the first payments company to support Samsung’s mobile fingerprint authentication technology. The three biggest U.S. payment card networks on Tuesday together proposed the framework for a new standard for online and mobile purchases they said will more effectively protect consumers and businesses from fraud. The fierce competitors said they are responding to increasing consumer demand to protect digital purchases, which make up a growing portion of retail sales. The agreement is not a full-fledged solution, but signals a willingness of the networks and their issuers to work with merchants, acquirers and processors on a standard for widespread “tokenization” of payment information. Many processors have been substituting tokens for actual consumer card account numbers during transactions for some time so that fewer parties have to store payment account details. The new standard would draw on technology already in place, but the networks said their cooperation and ability to bring all players in the payments ecosystem together would ensure broad acceptance of tokens, enable all participants in the value chain to route and pass through tokens, spur innovation in the digital wallet and mobile app space and improve cardholder security. Please Visit CardNotPresent.com for more news! 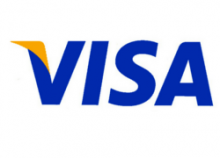 Visa has announced a series of enhancements to Visa’s Advanced Authorization (VAA) technology that significantly improve the ability of its global processing network to detect potential electronic payments fraud. Financial institutions can use the information to more reliably know which transactions to decline in real time, potentially reducing fraud by billions per year, while more confidently approving legitimate transactions to remove friction from payments for merchants and consumers alike. Visa has increased the breadth of each account profile in the Advanced Authorization model by adding more transactional history data, along with additional neural networks to analyze that data. The account profile is a major component of the risk score assigned to a given transaction and provided to the issuer for them to make an authorization decision. The result is more robust performance and improvement of as much as 130% in detecting fraud in debit transactions and 175% for credit transactions. The enhanced model includes additional risk indicators specific to Automated Fuel Dispensers (AFD) transactions. Visa’s network now can pinpoint suspicious activity at a gas station and apply that to all transactions processed through that station. The model also uses account velocity at AFDs compared to that account’s normal behaviour in the score determination. This can potentially increase the effectiveness of fraud detection in this segment by as much as 266% for debit transactions and 163% in credit. The VAA improvements offer the potential to substantially reduce fraud in both transactions where the physical Visa card is present, such as a retail store, as well as in “card not present” environments such as online shopping. The improvements are effective for both consumer and commercial accounts and transactions. Please visit http://www.paymenteye.com for more news! Welcome to PYMNTS.com’s 2013 CEO Series: a quick and concise glimpse into the minds of the leaders of the payments industry and how they view innovation, change and growth. We’ll ask each top exec the same six questions about the payments industry to gauge who they view as innovation experts and why they feel their company stands out. What advice do these leaders have to offer to those looking to survive in a complex and dynamic industry? On PYMNTS.com, you can find out. In this installment, we speak with Ken Paull, CEO of ROAM, to learn his thoughts on payments innovation, how the industry is changing and more. What does Paull believe many players forget when trying to innovate in payments, and what does he say payments’ past tells us about its present and future? Find out below. It’s a collaborative effort between our own vision of where we see this industry going and the demands coming from our customers and partners. We put a lot of pressure and responsibility on ourselves to be visionaries in this space, as evidenced by delivering the first encrypted card reader to the market and some of the more recent innovations we’ve worked on with customers, such as the integration of payments into a broader mobile experience. You learn so much more and shape such a stronger vision by engaging your customers in this process and jointly leveraging each other’s ideas. What is the most innovative thing that you have introduced into the market – and what did it deliver to the stakeholder group that was its target? I’d have to say the most innovative thing we’ve done is architecting our entire platform in a way that’s not only fully brandable and customizable, but also flexible enough so that it can be unbundled into separate offerings. Taking that approach has allowed many major players out in the market to leverage our platform to not only compete with the likes of Square and the other players in the market, but actually break out more value-added solutions and do it with ease and agility. We’ve given other players in the market a huge competitive advantage by providing an affordable way for them to get to market with a mobile commerce solution of their own. Where do you look for innovative ideas and why? I already spoke about how important our customers are to our innovation process, but in our goal to become a best of breed provider, we acknowledge that we can’t always develop everything in-house ourselves, especially not in such a rapidly growing segment. So, we also look to key partners for their input and expertise. By integrating some of our partners’ solutions into our platform, those partners become another source of innovation. We’re always surveying the market for other businesses that are providing new and innovative mobile development tools and software modules that might bring value to our customer base. What do you think that most people underestimate about innovating in payments? Many companies don’t look backwards and learn enough about where the payments industry has been and how it has evolved. Even though mobile is a new frontier, the mobile payments space is following a lot of the same trajectory that physical payments and eCommerce went through. For example, if you look at a physical countertop device, at first it only accepted credit cards, next it was debit cards, then it was prepaid cards, gift cards, loyalty cards, etc. That’s in essence what we see happening in our industry. Now the software and value-added applications are really streaming in to surround the existing hardware capabilities for mobile card acceptance. I think people underestimate how much innovation has already taken place in the industry and how much of the groundwork has already been laid for the new players entering this space. What person or company do you think “gets” innovation and why – and, conversely, who or what has missed it and why? That is a very difficult question. In terms of mobile payments, we are probably working in some form or fashion with a majority of the industry players, so it’s difficult in two respects. The first is that many of them ask us not to disclose information about our relationship, as is the nature of being a “behind the brand” technology platform. The second is that there are just too many people we could offend by excluding. Being an Ingenico company, we obviously have a bias in this respect because we certainly think Ingenico “gets” innovation. By investing in ROAM and building out a mobility line of business, they have the vision to understand how key mobile is to the transformation of this industry and how important it is to their future. On the contrary, we have seen many of Ingenico’s competitors put a less persistent effort into this market during a time that is a very critical inflection point in our industry. What advice would you give a young innovator in this space and why would you tell her to heed it? Never lose sight of the wants and needs of your customer (or in the case of a distribution channel environment – your customer’s customer). And don’t be afraid to reach out to your customers and to the market to share ideas and gain other people’s input. This is a complicated ecosystem that we operate in and to develop and bring products out to the market in a silo is a risky venture. Ken has over 20 years in senior management roles in the electronic payments industry including senior vice president at RBS Lynk (now WorldPay), vice president at Triton Systems and general manager at VeriFone. He was responsible for building and rapidly growing what is now WorldPay’s national account payments division while also directing the turnaround of what had been a declining ATM processing business. While at Triton, the company surpassed NCR as the second largest domestic ATM supplier and also became the global leader in retail ATM deployments. At VeriFone, Ken built their major account, retail division which has become one of the largest segments of their business. Most recently, Ken has held positions of board director at Access to Money, director at Market Platform Dynamics and president of Pax. A native of the Boston area, Ken holds a B.S. in Marketing and Communications from Babson College, as well as an MBA in Telecommunications Management from Golden Gate University. Want more news and commentary delivered right to your inbox? Sign up for our daily newsletter now!